Give people a problem, a bit of time and some serious grit, and they’ll learn anything. We did, many years ago, when we had to propel our e-store right into deep space. That’s how we first got into SEO. Having fallen in love with it, we decided to stay. For you it’s different, though. You’re darn good at your job, but you have more and more specific skills to hone. Meanwhile, digital gets more important and complex by the day. Design a website? Optimize traffic? Write stuff, be smart on Facebook, manage campaigns… and then put it all together? No time to learn all that. 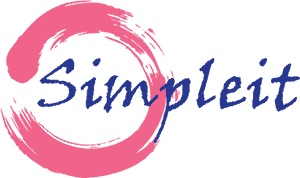 That’s where Simpleit comes in. An agency born like you, that grows as you do. Whether you have just started your business, or trying to improve your online presence, our team of experts will help you to accomplish your goals. You hire us for one reason and that is better results! Impress your readers by having engaging web content. From creating a web copy which attracts people to click to Blogs that gets shares. Achieving higher conversion rate is hard, you can not achieve it alone, we will help you to earn it! Visitors can land on your website from different sources. Learn about your audience, analyze their activity and learn how to setup your pages for better conversion. Content Creation, Blog and web copy writing, proof reading and more. Great ranking is possible with our services. Improving your social media presence. We are much more than a vendor, and you are much more than a client to us. When you hire us to optimize your website, we become your business partner: we only succeed if you succeed. We have spent the last ten years building the reputation and online visibility of our clients. And that has built our reputation at the same time. Our clients wouldn’t stay with us if we weren’t bringing them new business every day. For the last 8 years we have spent all our time to get familiar with world wide web and how improve ranking in search results. We tested everything and learned alot! Mike is our SEO Analyst. He has been doing SEO since 2010. He is also very familiar with Local SEO and can rank your website with any keyword. A Twitter expert, he has worked in different industries. He has written many blogs, web content and know how to research and craft outstanding articles that would get visitor's attention. WITH OUR SERVICES YOU ARE IN CHARGE OF YOUR SEO.